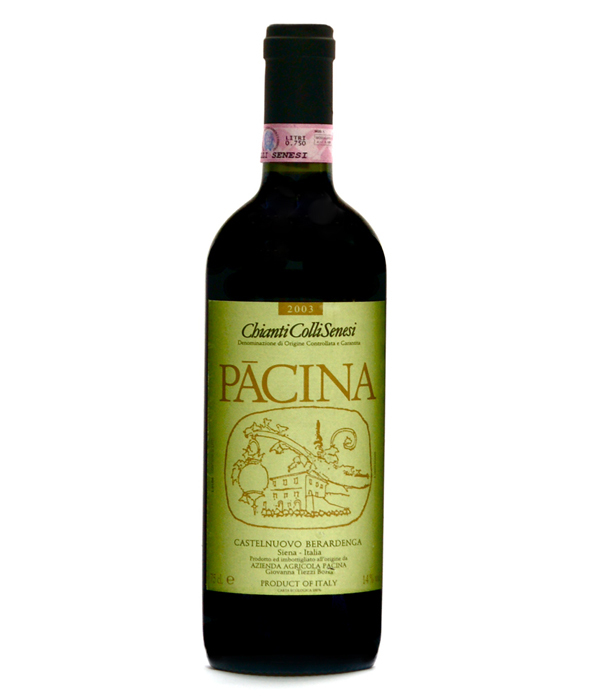 The Pacina estate is only a few yards from the Chianti Classico area. A well-structured chianti, dense yet well-rounded, with dark, ripe fruit, prune and leather overtones. A distinctive Chianti.